There are a few things you need to consider before adopting a cat. 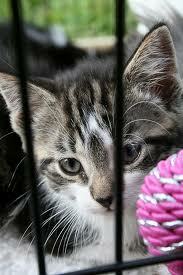 Here you will find useful information about adopting a cat and cat adoption options. 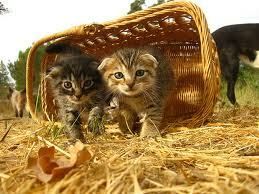 First, make sure that your life style is favorable to having a cat. People are mistaken by thinking that a cat is completely independent, cats will need attention (e.g., feeding, cleaning and play time). So, be sure that you will have time to dedicate to your new feline friend. Additionally, if you have kids, we recommend that you identify a breed that is good with younger children prior adopting a cat. Again, it is important to know the cat's breed, peculiarities and personality before adopting a cat. There are several ways to adopt a cat. You can go to local shelters, classifieds, online postings, rescue organizations, and local pet stores. Other adoptions are quite unique, like how we adopted our first cat. We went to get our car checked out at a Saturn dealership and one of the maintenance representative approached us. She had four kittens inside an office, and when we entered, only one came to me. At that moment, I knew that I had to take her home with me, it was love at first sight! Although we recommend that you learn more about cats and their peculiarities prior to the adoption, but sometimes it just happens. When you go to any adoption center, be sure to have your eyes and heart open and love will come your way! There are many shelters out there that will vaccinate, de-worm and test for feline leukemia before putting up cats for adoption. Some shelters will also spay/neuter the cats before adoption as well. There are rescue groups that offer low-cost spay/neuter and veterinary services to low-income residents, so be sure to check all your options. We truly emphasize the need to have your life style and expectations in order prior the adoption search. If you work full-time, we recommend passing up kittens and cats less than eighteen months old, they will require more attention and time training. You should consider an adult cat, whose energy needs will be easier to meet. While visiting shelters or any other rescue organizations, look for a friendly, outgoing cat, who nudges an outstretched finger offered through the cage bars and who nuzzles and purrs when you hold him in your arms. This profile is a particularly good choice for families with children younger than seven years of age. Remember, a cat who is social and relaxed at a shelter usually has the composure to meet the stresses that life throws his/her way. A cat in your life can add warmth, humor and peace of mind. A cat can teach your child empathy for others while keeping her secrets. If you are willing to make the commitment, a cat is waiting to enhance your life in ways you least expect. Click here to find a cat rescue and adoption center near you. There are a few tips we learned from cat owners about adopting a senior cat, and we believe it can change your view about bringing home an older cat. When senior cats are adopted, they seem to understand that they've been rescued, and are all the more thankful for it. 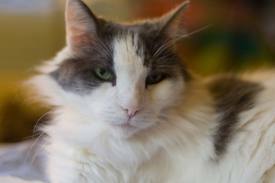 A senior cat already has developed its personality, so you'll know if he or she is a good fit for your family. They already know basic household manners, they are often litter trained and are less likely to forget where the litter box is. You can still teach an older cat new tricks, they have the attention span and impulse control that makes it easier to train. They also know the difference between the scratching post and your furniture. Finally, senior cats are often content to just relax in your company, unlike younger cats, who may misbehave because they're bored. Most of all, have fun while searching for and adopting a cat! Do You Have A Special Story About Cat Adoption? Share Your Special Cat Adoption Story With Us! 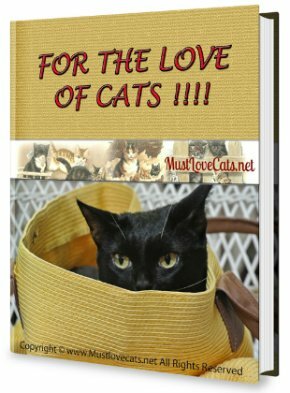 Stories Shared By Cat Lovers. 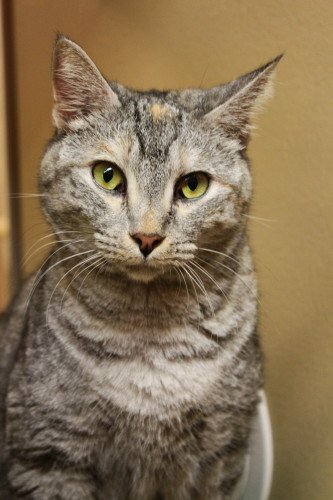 Click on the link below to see some great stories about cat adoption. They were all written by other visitors to this page.